Essential Elements to Any Babywise Bedroom. 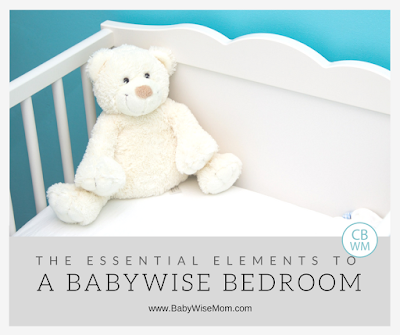 In this post, I talk about how to set your Babywise baby or child’s bedroom up for optimal sleep. If you want a baby or child to sleep well, you need to do more than just plop the child down and say, “sleep.” If you want to have great sleep results, you need to have great sleep prep. 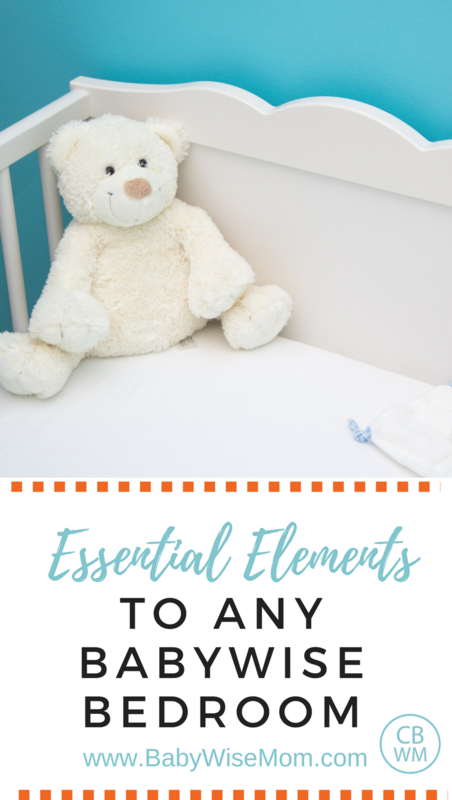 These elements listed below will help your baby or child sleep better and help you, as a Babywise mom, be on top of sleep to set it up for success. My oldest spent his first six moths without a bedroom. He also spent his first six months taking 45 minute naps and waking up once a night most nights. Once we moved him to sleep in his own room (the bathroom, but his own all the same), he started taking two hour naps and sleeping through the night! There is something to be said for having a place to sleep that is set up for successful sleep. Your baby needs a place to sleep, and a place that is comfortable and safe. A crib is an obvious choice. A bassinet might be a better choice for your baby at the time. For toddlers, you might do a toddler bed or a big bed. Whatever the exact type of bed is comfortable for your child and a safe space (which will be dependent on age). I love curtains for a lot of reasons. They can help block out light, which is helpful if your child doesn’t sleep well in bright spaces. They can help muffle outside sounds, which is helpful if you live in a noisy area. They also help keep room temperature more constant, which is very nice for really hot or really cold times of year. I love a sound machine for helping a baby or child sleep well, especially if it is for a child that is anything but the oldest. People can be noisy. Neighbors can be noisy. Pets can be noisy. It is nice to be able to have a sound machine that helps blocks out sounds of everyone in the home. Every 45 minutes, your baby or child will transition sleep cycles. When this happens, your baby will come out of sleep, close to waking, then go back to sleep. If there is something to wake baby up, that transition will not happen. So if a loud noises happens at the transition, baby will likely wake. That is why a sound machine can be super helpful to aide in good sleep. You can read up more on sleep transitions here. Also, if you are concerned about a sleep prop situation happening, read up on sleep props here. When you are getting to know your baby, her sleep cues, and figure out the best waketime length, it a monitor is super helpful. Ignorance is bliss, but knowledge is power. If you know how well your baby slept, then you know if the condition for that sleep were right or not. Once things are well-established and baby is loud enough for you to hear without a monitor, you can turn it off so you don’t here every little peep. You need to be equipped with the power of knowledge before you move to bliss. A comfortable chair can do a lot for a bedtime routine no matter the age of your baby or child. A comfortable chair can be where you sit to nurse a baby. This is great for a baby to not get distracted and take in a full feeding. A comfortable chair can be where you do the “sit” portion of the Four S’s when you teach your newborn to fall asleep alone. A comfortable chair can also be where you sit together to have a nice bedtime store before bed with your child. A consistent routine is vital to having great naps. To get great sleep, you need a consistent routine, no matter the age. 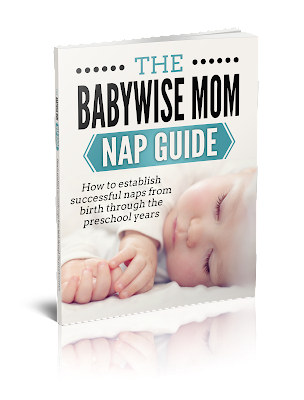 If you are following Babywise, you are doing so in large part for the good sleep. Theese five elements will help you in your quest for consistent naps and night sleep.